Home / What is Arthritis? What is Arthritis? Here is a good Arthritis Definition: Arthritis is the general term given to a number of painful and debilitating conditions affecting the joints and bones. It is actually made up of two Greek words: athro – meaning joints; and itis – meaning inflammation. There are over 100 different types of arthritis. Although arthritis is normally associated with people in the “baby boomer” category and older, it can affect people at any age, even children. There are about a dozen arthritis types, that can affect one or more joints in men, women, children and even our animal companions. There are some forms of arthritis that are inherited, but most are not. By and far the most prevalent types of arthritis are Osteoarthritis (degenerative arthritis) and Rheumatoid Arthritis (inflammatory arthritis). To see the most common forms of arthritis visit: Types of Arthritis. What Causes Arthritis? While the exact cause of arthritis is not fully known to modern medicine, however there are known factors which may contribute to you developing arthritis: stress, obesity and jobs which require repetitive movements of a particular joint socket. This includes clerical workers, computer programmers, warehouse people, and sports people. For example football players tend to develop arthritis in their knees and ankles as a consequence of injuries sustained to these parts of their bodies and overuse or repetitive use of those joints. Visit Arthritis Symptoms to see the most common signs of arthritis. There is evidence however, that suggests that physically active people who are not injured have a lower risk of arthritis. Some studies have suggested that gout may sometimes be a contributing factor to causing arthritis. Osteoarthritis is a “wear and tear” form of arthritis that is caused by loss of cartilage so your joints grind instead of glide. Rheumatoid Arthritis is inflammatory arthritis where your immune cells attack healthy cells and cause inflammation, swelling and extreme pain. Unlike “modern medicine” Holistic Medicine sees arthritis as an effect of lifestyle choices like, diet, nutrition and movement. Therefore in most cases the condition of arthritis as well as the ability to reverse arthritis is in the hands of the person with the arthritis symptoms more than something that you have no ability to get permanent relief from. And that’s the purpose of this website, to give you options other than surgery or prescription medicines that often do more harm than good. What helps arthritis? There are things you can do right now to help relieve your arthritis symptoms and relieve your arthritis pain too. The first thing you can do to get real arthritis helps is to eat or take natural anti inflammatories, like turmeric curcumin, ginger, cbd hemp extract with systemic enzymes that break up scar tissue, bone spurs and calcium deposits that have developed because of your arthritis. It is the easiest thing you can do right now and start the healing process. You will need to take therapeutic doses which are slightly higher than maintenance doses to heal and rebuild your damaged joint surfaces, cartilage and synovial (joint) fluid. Visit our article on Natural Anti Inflammatory Supplements for the best ones to take first and the most effective ones for pain relief. Also choosing to eat alkaline foods and avoid acidic foods can help you long-term not only relieve arthritis, but all chronic inflammatory diseases including cancers and viral infections, which all feed on acids and sugars from your diet. Drinking alkaline water can also be very helpful for arthritis and gout. See Arthritis Diet for more information. Joint friendly exercises can help you strengthen your muscles around your joints to take pressure off of them. It can also help you reduce pain, increase circulation (which if you’re taking natural anti inflammatories, will help them work faster and deeper too,) and actually begin rebuilding your joint tissues so you can get permanent relief. For more information see Exercises for Arthritis. The best Arthritis Help is a good education on how to eat and exercise properly and how to use natural supplement timing to reverse the effects of arthritis in your life. 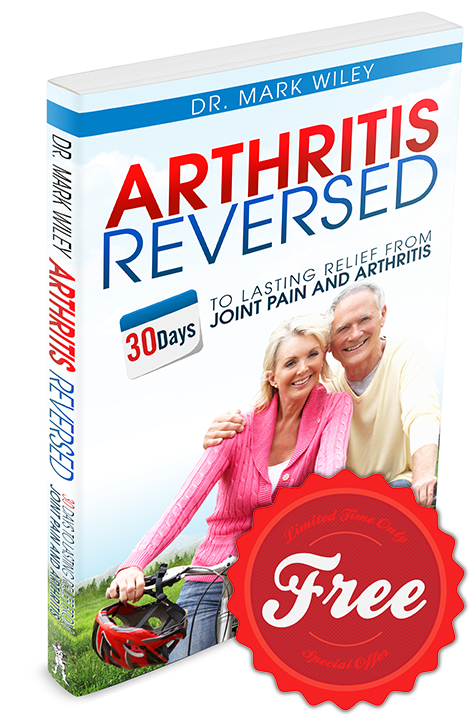 You can also get an all in one guide that gives you the knowledge that makes you Arthritis Free For Life.